A family vacation should be filled with fun, excitement and memorable moments for everyone. And you want to make sure you find just the right balance of fun and relaxation, and fulfill everyone’s idea of a good time. Here's how! A family vacation should be filled with fun, excitement and memorable moments for everyone. But sometimes family vacations can be tricky - you want to make sure you find just the right balance of fun and relaxation, and fulfill everyone’s idea of a good time. Add toddlers, tweens or teens to the mix and it can be a real challenge! No worries. WestJet Vacations has resorts that are perfect for family time – and which also ensure the grown-ups get quality adult time. 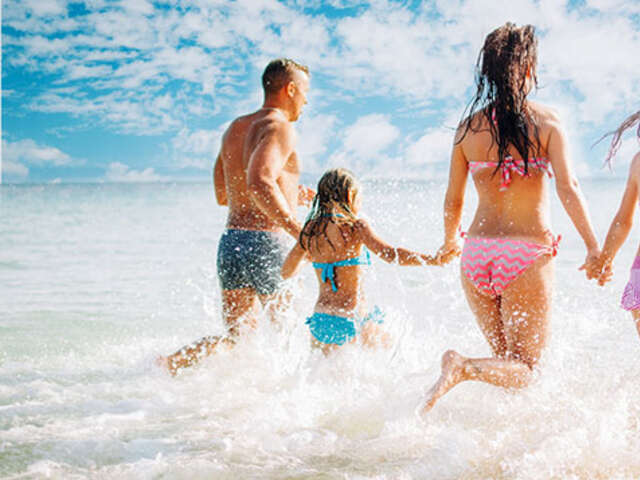 WestJet Vacations Exclusive Family Collection are carefully chosen resorts that provide memorable experiences, thanks to facilities geared to travellers of all ages. Their on-site kids’ clubs, supervised activities, kid-friendly menus and more make for the perfect combo of play plus downtime, all in a safe, secure environment. Look for facilities that are age-appropriate for your kids or teens. Why not bring along the grandparents and make it a multi-generational affair? There’s no better way to build family memories together than travel. Contact your UNIGLOBE Travel Consultant today for the best deal on the Exclusive Family Collection but hurry, book before April 30 for travel by October 31, 2018.